I started reading N.T. Wright at Westminster Theological Seminary (Philadelphia) and along the way through my hiatus as an Anglican priest. I believe that he provided the necessary paradigm shift for me to appreciate the nuances of the Council of Trent regarding justification. N.T. Wright is a good enough biblical theologian to realize that Paul didn’t teach personal salvation by way of an imputation of an alien righteousness. That’s why the Anglican bishop has received so much attention – he’s a Protestant writing like a Catholic. 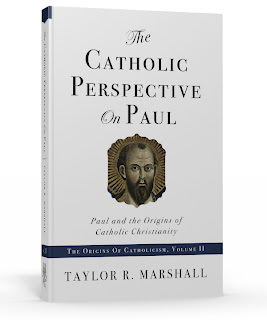 If you buy into Wright’s covenantal realism, then you’ve already taken three steps toward the Catholic Church. Keep following the trail an you’ll be Catholic. Salvation is sacramental, transformational, communal, and eschatological. Sound good? You’ve just assented to the Catholic Council of Trent. It’s almost as if Wright dug deeply into Paul’s writings until finally he came to a door. When he opened the door, to everyone’s surprise, he found that he was on the other side of Wittenburg’s door. If you’re ready to see what the Catholic Church truly believes about justification (and not what Michael Horton and R.C. Sproul say that we believe), click here to here for the Sixth Session of Council of Trent on Justification. Sorry, part of my post didn’t appear because i used ”. Maybe one way of putting it would be to say: We have to choose to use ‘the ability to obey God’ – entirely from God. You’re so cool! I do not think I’ve truly read through something like this before.